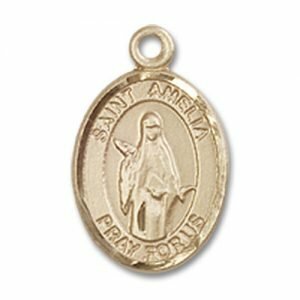 St. Amelia was born in Luxembourg in 741. She denied the man who became known as King Charlemagne, who was obsessed with her beauty and virtue and who accidentally broke her arm. 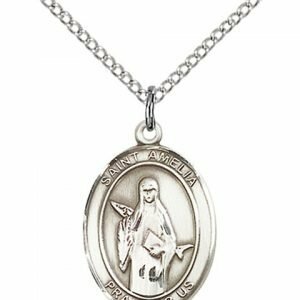 Her arm was miraculously healed. 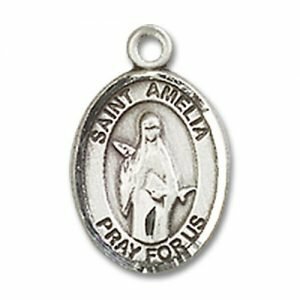 St. Amelia spent a great deal of time working with a church she began and devoted to Mary. One of St. Amelia’s miracles was when she rode across Schelde River on the back of a large fish. 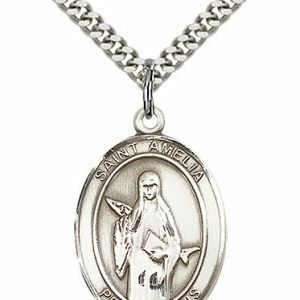 Because of this, she became known as the patron saint of fishermen and farmers. Young people struggling to remain faithful in the church often turn to her, as do people who have shoulder or arm injuries. 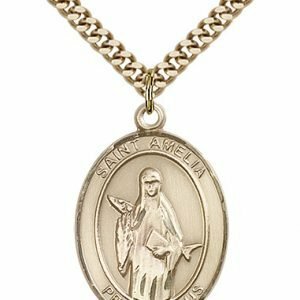 St. Amelia’s medal features a fish behind her holding a bible.